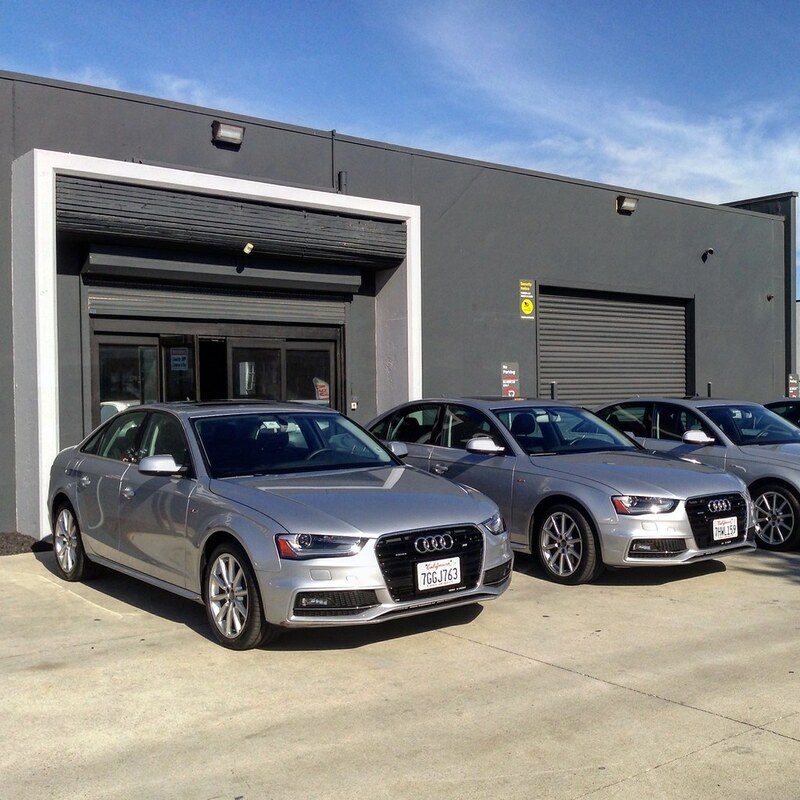 I wrote about the ability to get a fixed type of car, specifically a premium Audi A4 with free internet, sat-nav and all the bells and whistles by renting from Silvercar. As a new car rental firm, the company is still doing plenty of promotions such as giving referrals credits and giving one-day free deals. 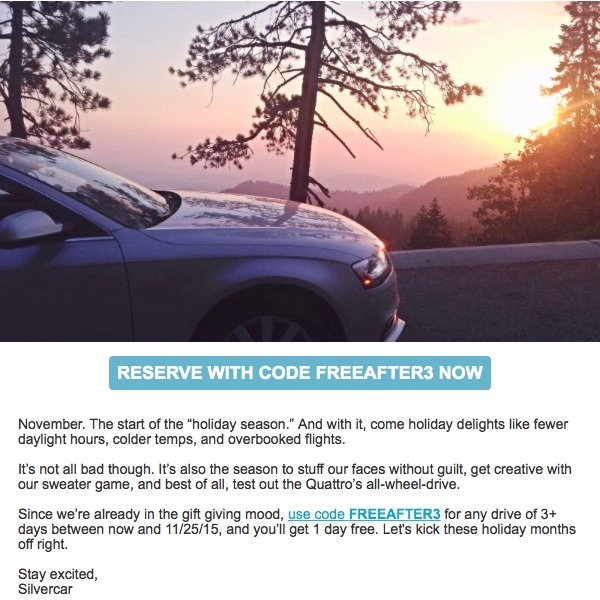 For the Thanksgiving holidays, Silvercar is giving a one day free rental with every 3+ days of rental. As far as I noticed, renting from them is not much different from renting from the large firms like Avis or Hertz. The ability to confirm your car is the nice touch for me. This deal will make it much more worthwhile. As the above promotion mentions, just input in the code FREEAFTER3 for the one day free and this promotion is valid for most of November, ending at 25th November 2015. Happy holidays and safe driving!